WOW! Create your events apps yourself. Event App Maker, Integrate Facebook & Google Events to Your App. MY APP CENTER We’re a team of remarkable, passionate, curious people and love the products we build and are stoked about using technology to revolutionize the mobile apps development industry. Facilitate networking based on interests. Create group forums for attendees to connect over shared interests. Find mutually available times, and schedule meetings in just a few taps. Engage your audience through social media. My App or conference app to add a program, map or speakers, chat within minutes (iPhone &Android). 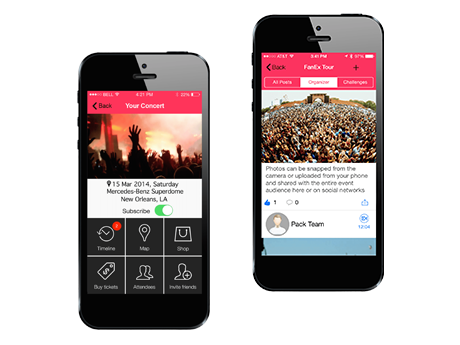 Take mobile app engagement to new heights with a hyper-personalized event app experience.